We offer several books focused on IBM i education. Choose from selections providing the modern IBM resource knowledge and learning. Since its original publication, Programming in RPG IV has given thousands of students and professionals a strong foundation in the essentials of business programming using RPG IV. 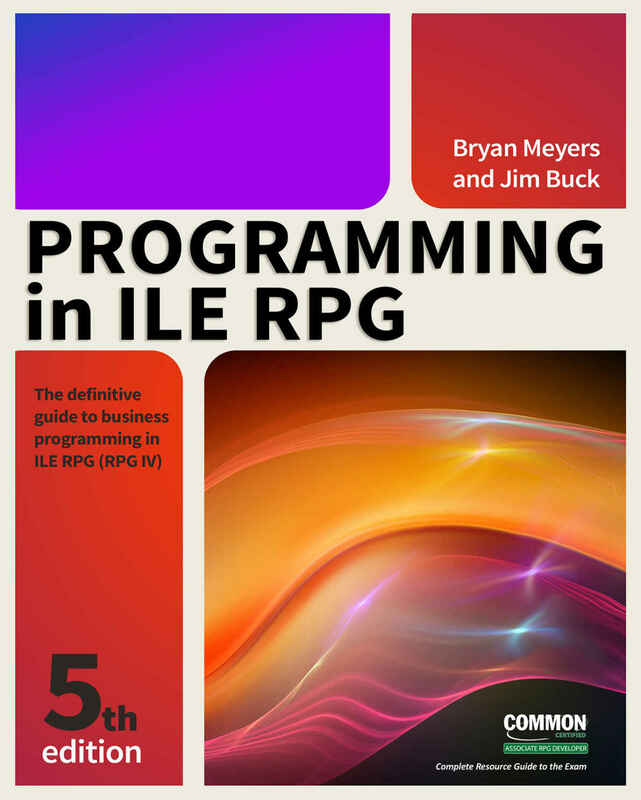 Now, the long-awaited Fifth Edition, retitled Programming in ILE RPG, produces the most significant update to this “gold standard” book in many years. The book has been reorganized and updated to the newest software release. It includes exclusive coverage of free-format RPG, new attention to SQL, and expanded emphasis on ILE modules, procedures, and service programs. All-new programming exercises and assignments add even more value for learning. The book includes complete coverage of the program development process, the newest development tools, RPG IV instructions and operations, creating and using files, program workflow and structured design, arithmetic operations and functions, accessing and updating database files, writing interactive applications, modular programming, service programs, error handling, subfiles, APIs, and more. This book is the one guide you need to learn how to be successful with all aspects of ILE RPG.